My Yummy Cupcake Brush Pack - Free Photoshop Brushes at Brusheezy! Time to sit down and have a little treat, you've been working hard! Take a seat with this new My Yummy Cupcake Brush Pack, filled with tons of sweet floral brushes, button brushes, butterflies, and delicious cupcakes. 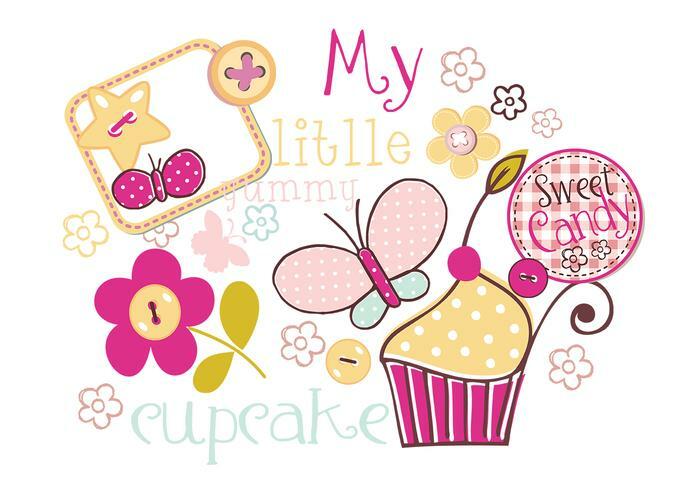 Head over to Vecteezy for the vector version and download the <a href="http://www.vecteezy.com/Food/34359-My-Yummy-Cupcake-Vector-Pack/premium">My Yummy Cupcake Vector Pack</a>! do I have to pay ? ?